Uranium, known as "U" on the periodic table, has many important applications. When its nucleus splits, known as fission, it can produce a large amount of heat. This process is at the core of creating nuclear energy and nuclear weapons. By creating a model of the uranium atom, students can get a better idea of its composition to understand its role in creating electricity and weapons. Before creating your model, you must first understand all the elements of the uranium atom. Uranium has a nucleus that includes 143 neutrons and 92 protons. The atom also includes 92 electrons, which are broken down by energy levels: Two on the innermost level, eight on the next, 18 on the next, 32 on the next, 21 on the next, nine on the next, and two on the outermost layer. Like all atoms, uranium has different isotopes -- atoms of the same kind with different numbers of neutrons. However, for the basic model, these are the numbers that are needed. You have many choices for materials to represent your atom. Small, round objects are needed to represent the neutrons, protons and electrons. Common choices include small Styrofoam balls, wooden or plastic beads, or even yarn pom poms. You can even create small balls out of air drying clay. If you select Styrofoam balls, it is important to also get acrylic paints to color each of the balls so they are easily identified as protons, neutrons or electrons. Sturdy wire or rings cut from cardboard are good choices to represent the energy levels. It will take some time to create the uranium nucleus since it is so large. To create an authentic model, you can glue 143 balls of one color and 92 balls of another color together into one big ball, representing each of the neutrons and protons in the nucleus. If you don't have the time for this, or if the result is too large for your needs, you can choose one large and one small ball to represent the whole. On the larger ball, write "143 neutrons," and on the smaller ball, write "92 protons." Make sure each ball is a different color to distinguish them, then glue them together. Once you have the nucleus created, you can begin adding the electrons and the energy rings. You can create seven large rings out of sturdy wire or cut the rings out of a piece of poster board or card board. Glue beads or Styrofoam balls in a third color onto the rings with the right distribution: two, eight, 18, 32, 21, nine and two. Both materials can be strung on the wire, as well as glued in place, for a secure construct. Fan out the rings in a spherical shape, then use thin wire to bind them together at the two points where they intersect. Use another thin piece of wire to suspend the nucleus into the center of the rings. 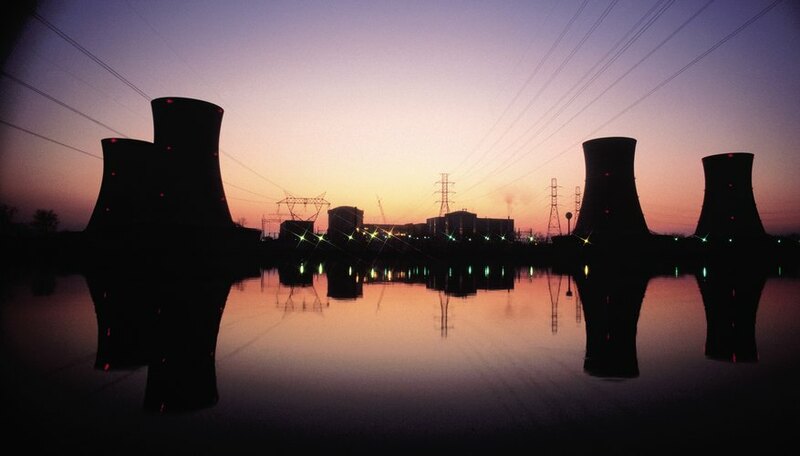 What is Nuclear: What is a Nuclear Reactor? Magher, Maria. "How to Make an Atom Replica of Uranium for School." Sciencing, https://sciencing.com/make-atom-replica-uranium-school-23114.html. 24 April 2017. How Do I Build a 3D Iron Atom?